I’ve already told the story of this day in elaborate detail, so I won’t talk too much about this fish. 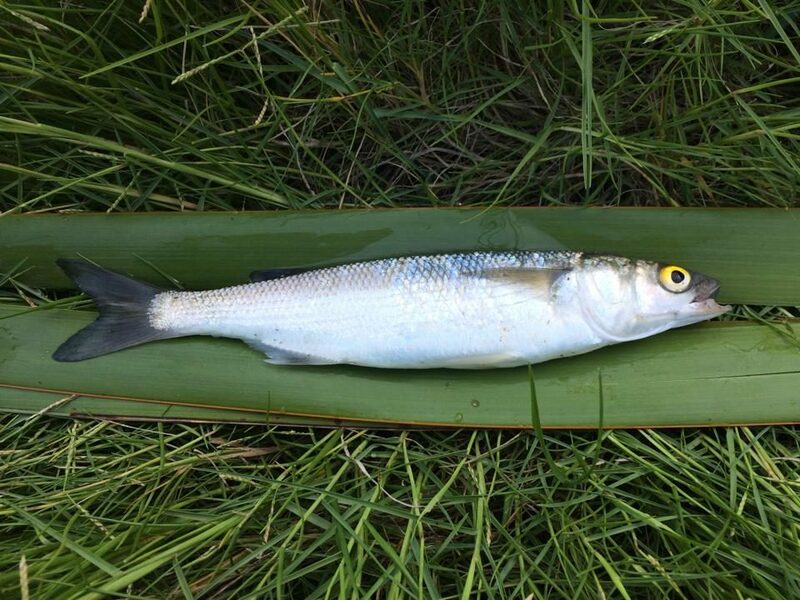 I’ve since caught a lot of mullet (three species in three countries outside the United States), and one thing mullet typically have in common is how difficult they are to catch. Since they feed on a variety of baits, the Internet will tell you there are a lot of ways to catch them, but most of mine came on breadballs and snag hooks. 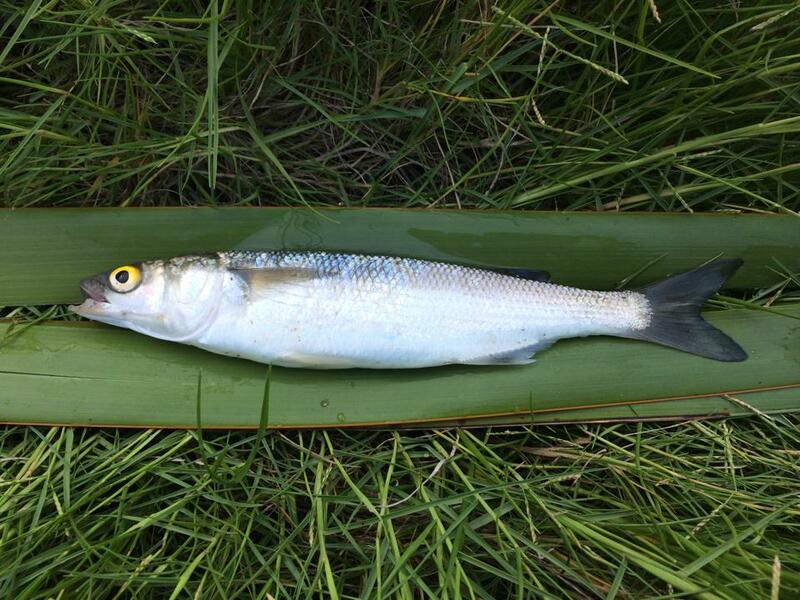 So, when I ended up catching this Yelloweye Mullet in New Zealand’s Coromandel using a beef scrap, I was very surprised. Since then, I’ve caught exactly zero mullet on meat or fish baits, so I now realize just how lucky I was. I told you this story wasn’t long or exciting. I simply caught a mullet fishing a beef scrap in a river. I kept it for bait and proceeded to catch nothing on the cubes of bloody meat that were supposed to make great bait. Further, even identification was easy. It was a mullet with a yellow eye, so the first Google search turned up my answer. Read the next entry in #SpeciesQuest here: Species #60 — Kahawai.